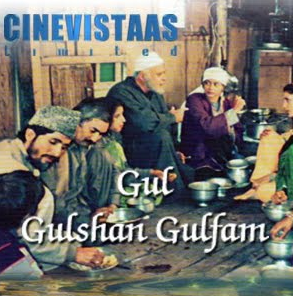 Episode 9 of Hindi TV Serial Gul Gulshan Gulfam is focused on two main things. One one hand it explores the trade and life of shawl makers from Kashmir, it also shows worries of father for the daughter’s marriage. We see both friends Mr. Narayan and Haji Khalik was traveling in traditional Shikara (a boat) and heading to somewhere. Their long journey also explores the locales and the beauty of Dal Lake of Kashmir in realistic and genuine way. During the conversation of the both the friends we found that Haji was quite worried about his promise to the queen, who was staying as the guest to his houseboat, regarding some woolen shawls. The shawls from Kashmir, especially made from Pashmina are considered of great quality and they provide good safety against the cold at the same time makes your wardrobe a very rich look. The people who work on making such shawls from Pashmina are kind of artists in their own. It requires expert skills and a lot of passions for a worker to make a quality Shawl from Pashmina. By the medium of the characters of Abdulla Shah and Aamir; the director explores the facts of Shawl business in realistic manner. As Abdulla Shah was just a trader or may be we can a broker of Shawls, but he gets a lot of money by selling these shawls to rich customers on high price. Which lead him a comfortable and rather rich life. On the other hand he purchases it on very cheap rates from the real makers of the shawl like Aaamir, who live in very poor situations. This shows the reality. The actual artist who works day and night and applies his best skills into the same, is not getting enough even for living, and the one who gets the product delivered to customers of chosen criteria and have no expertise in making the actual product is getting more than he deserve! Well, that is the fact of any business for example. And yes, we cannot neglect the marketing skills and somewhat luck of the traders and brokers as well. Because ultimately if you can choose right customers (wealthy is one of the criteria) and convince them, you can earn more. We cannot complaint about that. But, when they do purchase the stuff from the workers without paying them what they deserve and never give importance to them, that is something wrong. And you got to feel about the people who make such quality products but remains unsung heroes. In the course of events we also see that in how poor Aamir, one of the finest talent in making Pashmina shawls is facing economic problems. One the one end Aamir is worried about his daughter’s marriage and arranging money for the same. On the other end Haji is also looking for a groom for his daughter. Here we realize that most people have similar challenges approaching them at the certain age threshold. And yes, how can we forget to mention the portrayal of friendship between Haji Khalik and Mr. Narayan. There is no show off, no friendship song like Yeh dosti hum nahin todenge…. But it is still one of the most genuine friendship. We even cannot realize that both belongs to different religions or economic status. So as in past few episode we saw some problems the people of Kashmir struggling with, like, the uncertainty of income from tourism business (which is one of the main source of income for families like that of Haji Khalik). The desperate youth trying to find new sources of income and sometimes finding wrong way to do so. The separating families… This episode focuses on some social and economic problems which are a little different than those. We have also visited one traditional marriage in a middle class family of Kashmir, in this episode we see a function of quite wealthy family living there. So this TV serial tries covering the entire spectrum! The research work is simply superb. And yes see the body language of Parikshit Sahani, Radha Seth and Pankaj Berry and you will realize what a fine acting talent they are. Of course most of the other artist fail delivering such splendid performance as the matter of fact. However we see sometime some sparkling performances from a few of them. However this doesn’t let down the TV serial due to the content it offer. The genuine attempt to show the life of the people living at a place, which was considered as the heaven on Earth at some time. And yes, the situations explored are found similar almost everywhere. So people living anywhere can relate to it very easily. The locales are authentic and so does the wardrobe. The background music is good. The dialogs are first rate. We really miss to not see much of such kind of genuine TV serials even in the era of so many TV channels. Now there are production houses with far better economic ability and possession of best technologies, but might be their target is something different. Please note that the episode is no more available for public viewing.